Dacia Duster just won another important trophy. 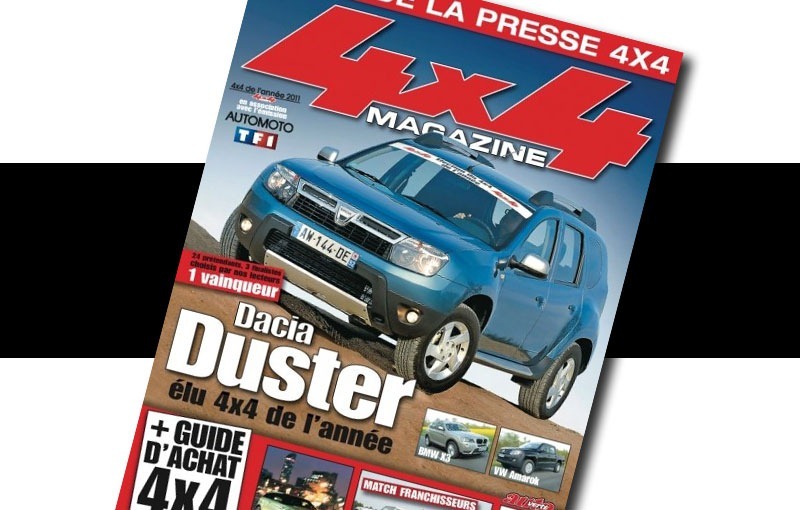 After being elected by Autobest the 2010 Car of the Year in Romania and won the Argus Trophy in France, the Romanian SUV won the â€œ4×4 Car of the Yearâ€ awarded by the 4×4 Magazine, the most important auto magazine in France. The Duster competed with 23 SUV models launched this year, managed to win first place in the final after the Romanian SUV manufactured in Pitesti managed to overcome the second generation of the BMW X3 and the Volkswagen Amarok, the first compact SUV produced by the German manufacturer in its entire history. The fourth important award won by Dacia Duster at European level it is added to a respectable presence in the final of the prestigious European Car of the Year competition. The Dacia Duster managed to rank seventh on the COTY Award, where the Nissan Leaf won the first place.